As I was preparing to write these posts on Paris, I had absolutely no intention of dedicating one post for each day I was there. But here we are – day seven and post seven. I guess that just goes to show how much I fell head over heals for this city that borders on the extravagant, but with a dose of charm. I couldn’t have picked better weather for my final full day in the City of Lights! Overcast, cool, and drizzling. Yup! A perfect Paris day. 🙂 And the weather kind of matched my mood – a bit overcast and melancholy knowing this was my last day in the city I had dreamed of visiting for so long and had grown to love while here. Teresa and I spent a lazy morning in our apartment. With pastries. Of course. We finally ventured out and took the metro to the Eiffel Tower area to do some souvenir shopping. Since this was the perfect day for some French onion soup, we decided to find a restaurant some friends of ours had recommended that was supposed to make the best. We searched and searched with no luck. The restaurant apparently no longer existed. Not to be deterred in our (well, my) quest for onion soup, we finally found a hip cafe called Le Tourville and sat at an outdoor table (under cover, of course). Can a setting be more perfect? Outdoor cafe, gray day in Paris, French onion soup. We both also ordered a croque monsieur (grilled ham and cheese sandwich) which was quite good. We had a lovely, leisurely lunch, chatting and people-watching. We then took the metro to Galeries Lafayette to make some purchases of items we had scouted out during our previous visit to this department store. Back at our apartment, we spent some time packing and organizing pictures. Then we decided to end our time in Paris the way we began it – at the Eiffel Tower. I’m not going to lie, I was actually getting a bit choked up knowing this was the last time I was going to see the Eiffel Tower which I had dreamed of seeing for so many years. Well, the last time on this trip. As we walked back to the metro, I kept turning around every few seconds to get my last few looks of the tower. So here I am, six years after visiting Paris for the first time. I would have been very sad to know, six years ago, that I was not to return to this city annually. Or at least bi-annually. 🙂 But I will make it back to the City of Lights someday! You can’t visit and not leave part of your heart there – I must go back to retrieve it. 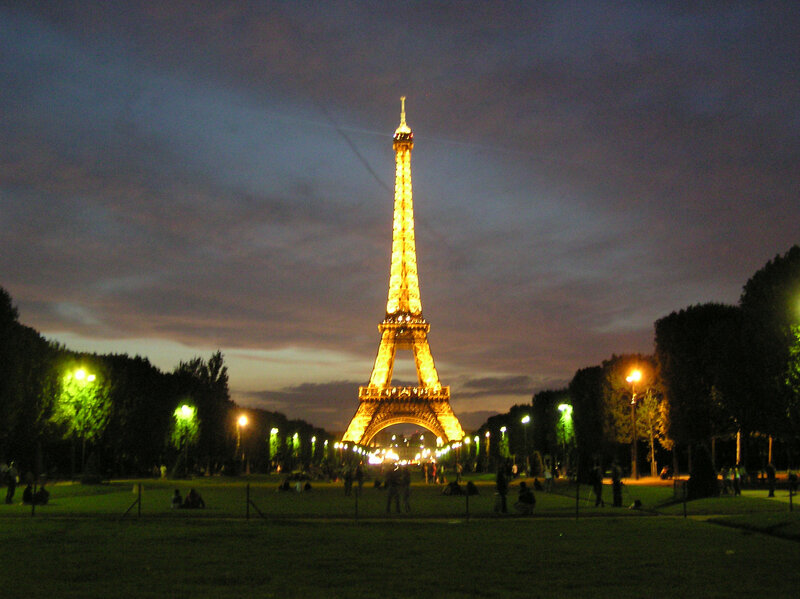 Or maybe I’ll just leave it…Paris has been good to it so far through my fond memories.